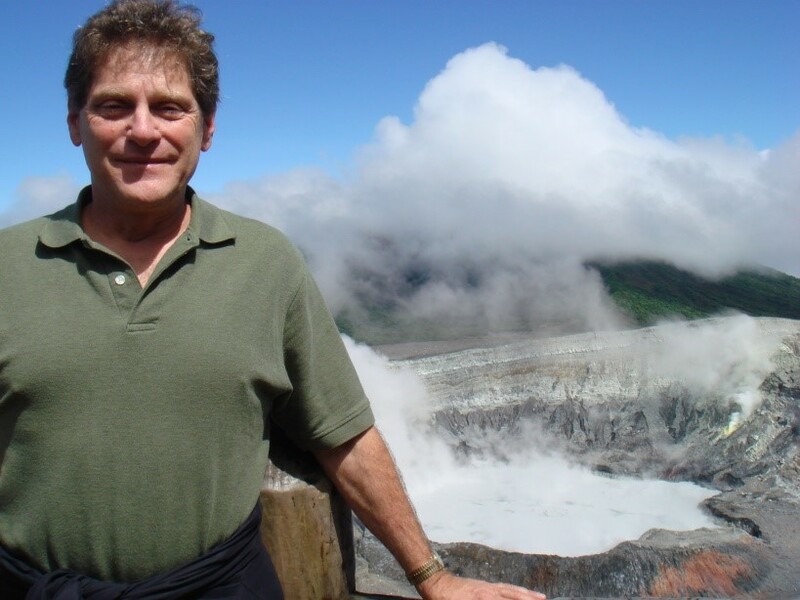 From 1973 to 1975, I served as a Peace Corps volunteer in the Himalayan hill regions of Nepal. Following that work in agricultural extension, I obtained my doctoral degree in plant and soil sciences. I worked with Dr. Walton C. Galinat on genetic improvement of maize, introgression of traits from ancestral species, and the value of diversity and genetic resources for our food crops. After graduation, I became Research Station Manager and Breeder for maize improvement and development with DeKalb Pfizer Genetics. However, some thirteen years after serving in Nepal, I felt the need to take what I had learned, re-enter global development, and serve others with a humanitarian focus. Until 2006 I served in that capacity, through various institutions, for approximately 20 years, with a sustained record of outstanding performance reviews. When the schism came, the earth split, taking with it a network of friends and colleagues from around the world. Ten years later, I now work in multiple educational settings, developing curricula for various life science courses and audiences. Life has meaning again, which I see in the faces of my students. Working with multiple age groups constantly challenges me to better understand what and how we learn. I see in young eager faces and those of my graduate or adult students the future, not the past. "Education in biology is important not just for the welfare of humanity but for the survival of the rest of my life. Every conservationist with whom I have discussed the subject agreed that the general indifference of people to the living world is the failure of introductory education in biology. …But, as I have urged, half of biology now, and probably more than half in the future, lies in the study of biodiversity and the living environment." In the time remaining, I do what I can as an educator, advocate, and researcher in this regard. The golden apples of the sun." I realize that there are many needy people in the world, and that my life will overcome that which was taken in the past. It will overcome in order to be of greater service now. . 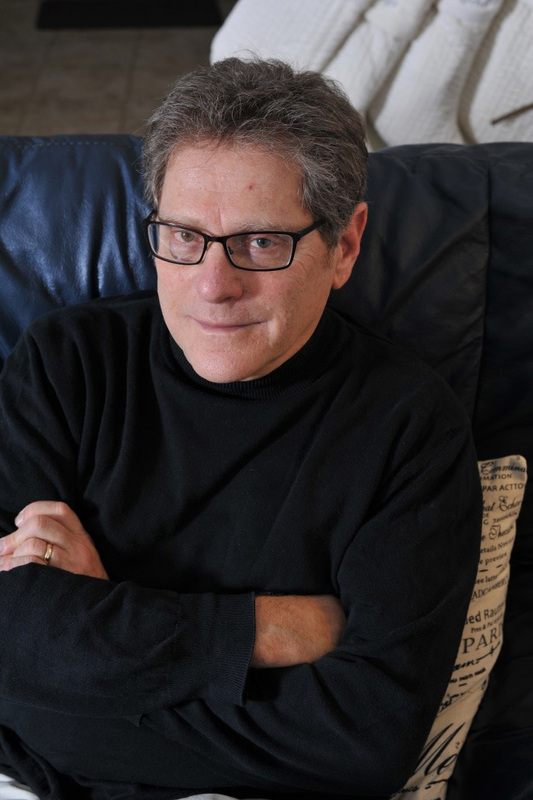 I know that I have recaptured the meaning of giving when I hear the voices of students, parents, and administrators talking to me of my teaching long after my work is done. "There remain scattered around the world many reservoirs of Earth's biodiversity, from a few acres in area to authentic original wildernesses with areas in excess of many thousands of square kilometers. Almost all of these last domains of the natural living environment are under some degree of threat or other, but they can be saved for future generations if those alive today have the will to act on their behalf." 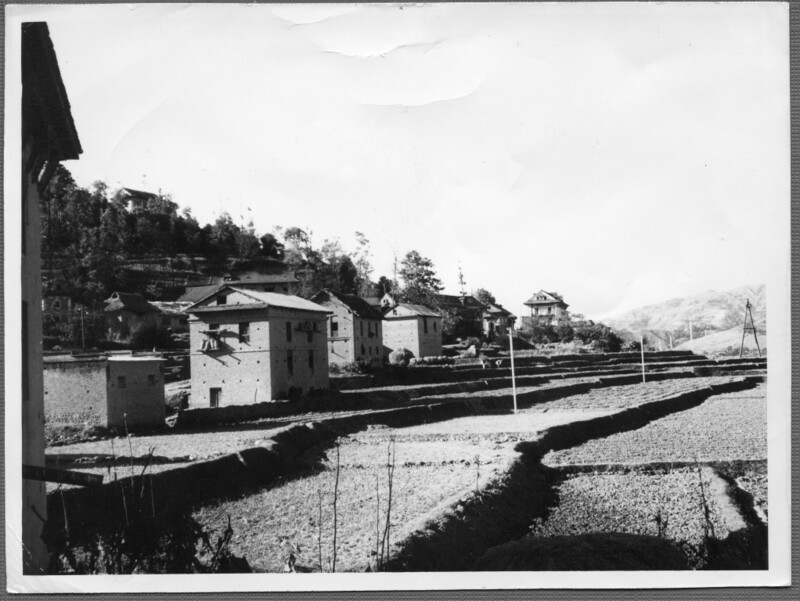 UNITED STATES PEACE CORPS; KHOPASI, NEPAL - AGRICULTURAL EXTENSION – Starting out. Located in the Baghmati zone of Nepal, Khopasi is a stronghold for the Newar community. When I served there, it was blessed with the expected monsoons, and was green in the summer from the rice paddies, and then green again in the winter season when wheat was planted. I chose to live with a Nepali family, rather than obtain my own quarters or to hire help. My family was Newari and ran a tea shop/café as their business venture in the ground level floor of the house. I rented two rooms on the second floor, one served as my office, and the back room was where I slept and kept my personal articles. One flight up was where the food was prepared, where I remember many a happy meal, for two years of rice, lentils and greens, followed that evening with a change to greens, lentils, and rice. Once the family was accustomed to me, after dinner I was invited to smoke with the eldest and most honored member of the family, the grandmother. Together we would sit and enjoy some wet tobacco from her ancient water pipe. IN BRIEF… introduced new options for rural, small holder farmers. Introduced community-based use of grain/vegetable seeds, planting citrus trees, improved seed selection systems, and local livestock introductions, and provided education through local extension service and local schools. 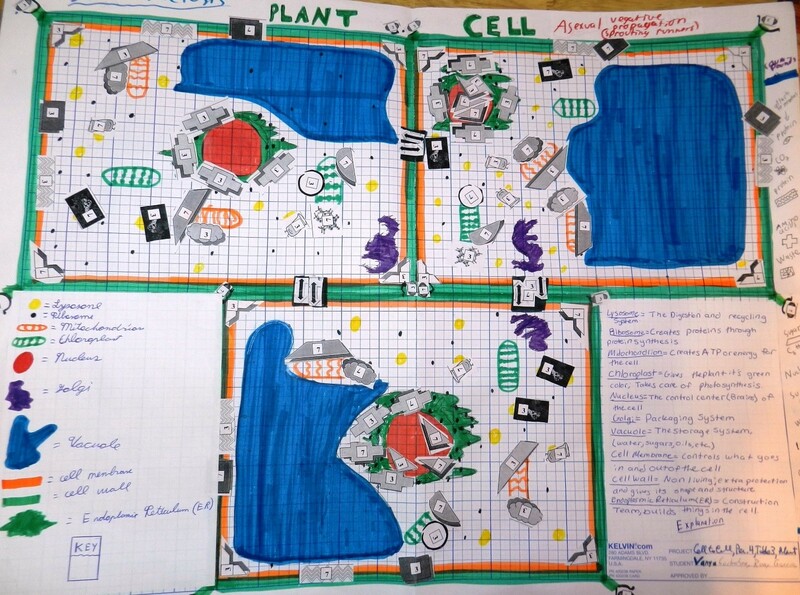 RESEARCH STATION MANAGER and PLANT BREEDER – On my way. The Borough of Palmyra PA consists of approximately two square miles, which used to house the Palmyra Dinner, serving up the best hot apple dumplings in Pennsylvania Dutch Country. 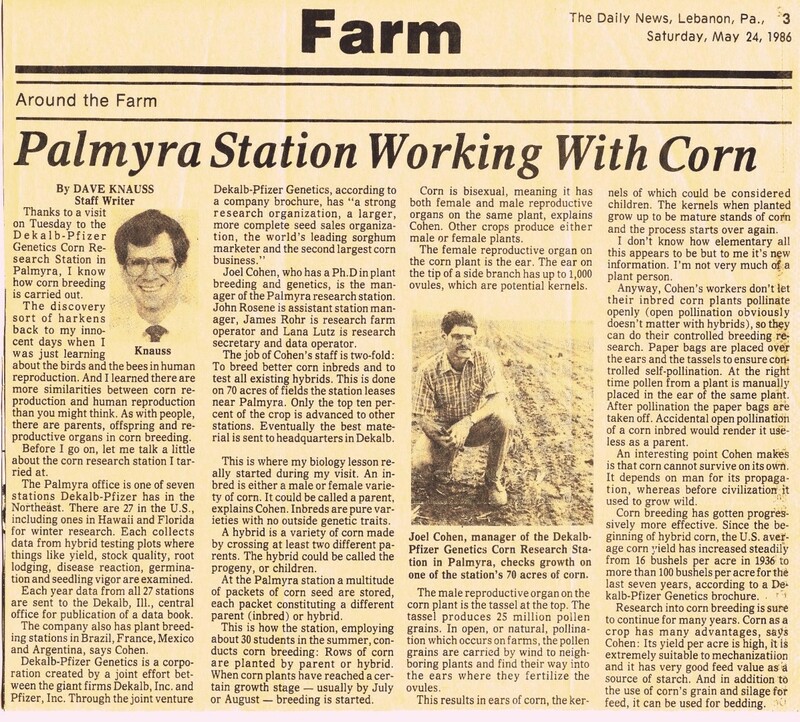 Of great importance for me, was that the Milton Hershey Farms were also there, and I was able to rent over 80 acres of their farm for our maize research program. Together with the other sites in Lancaster county and the Eastern Shore of Maryland, we farmed well over 120 acres of land, from planting to combining, and throwing up pollinating bags in between. IN BRIEF… Design, management and development of new research facility for hybrid maize breeding in Northeastern United States, advancing elite germplasm through breeding programs, searching for wide area adaptation, and consulted on development and incorporation of traits from GM technologies, evaluated biotechnology-derived germplasm for agronomic improvement, bred maize for germplasm resistant to grey leaf spot, corn borer, stay-green and yield. Provided conventional breeding insight to quarterly plant biotechnology meetings, participated in development and choice of genetic material for advancement, designed germplasm storage and office facility, determined field locations and objectives for breeding and testing programs representative of northeast. U.S. AGENCY FOR INTERNATIONAL DEVELOPMENT; - SENIOR AGRICULTURAL SPECIALIST; Washington DC, USA – Rejoining global agricultural assistance. IN BRIEF… first exposure to the Agency was from the American Association for the Advancement of Science’ award of a AAAS fellowship in Science and Diplomacy; initiated external technical advisory and evaluation committees for AID programs under my direction, mentored staff development of a number of USDA, AID and Science Fellowships, led program design, announcement, peer review and award of agreements as per US government regulations for the Agency. Developed and led numerous research projects in biodiversity, germplasm conservation, and rainforest conservation, working with both ex situ and in situ conservation methods and institutions, resulting in numerous publications and funding through Project NOAH legislation and other Agency funding. Cohen, J.I. 1993. An international initiative in biotechnology: priorities, values and implementation of an A.I.D. project. Crop Science 33: 913-918. Potter, C.S., J.I. Cohen and D. Janczewski (Eds.). 1993. 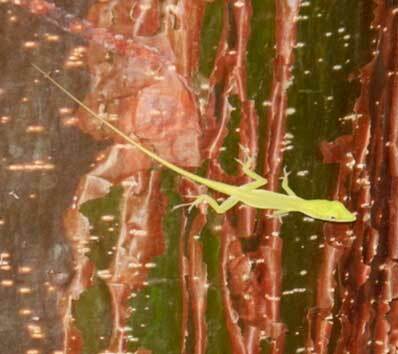 Perspectives in Biodiversity: Case Studies in Genetic Resource Conservation and Development. 350 pages. AAAS Press, Box 753, Waldorf, Maryland, USA. Session 28-2. AAAS Annual Meeting 1988; Boston. Organized and presided for session titled, “Biological Diversity: The Quantification and Maintenance of Genetic Resources.” Speakers included: Michael Strauss, Gene Namkoong, Garrison Wilkes, Stephen J. O’Brien, and Stephen Smith. 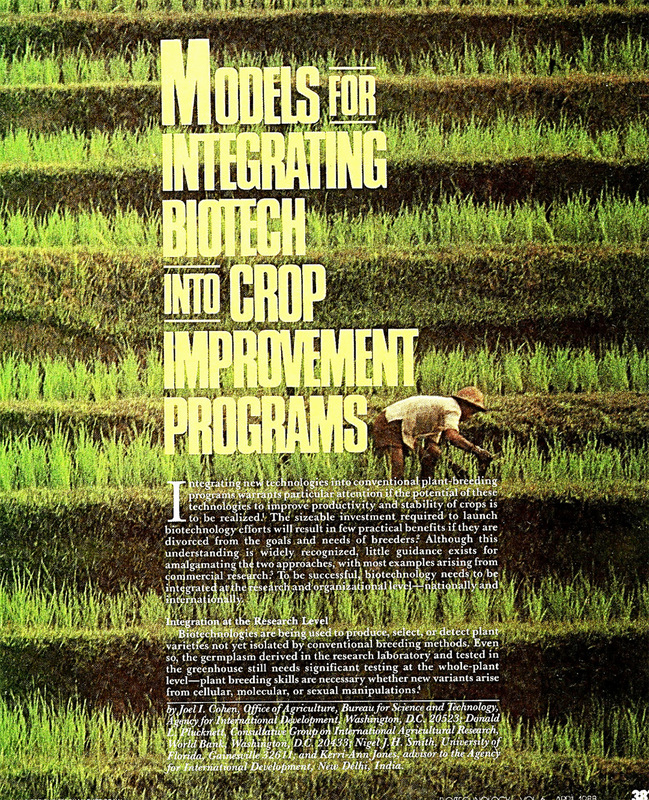 PROJECT DEVELOPMENT… designed, awarded and implemented the following bilateral/global research projects: Agricultural Biotechnology for Productivity Project: focus on crop protection strategies, with approval for $6,030,000 funding for first six years of 10 year project, supporting private and public sector collaborative research. Managed two recombinant vaccine projects for livestock totaling $5,870,000, incorporating extension for commercial production and use through livestock networks. 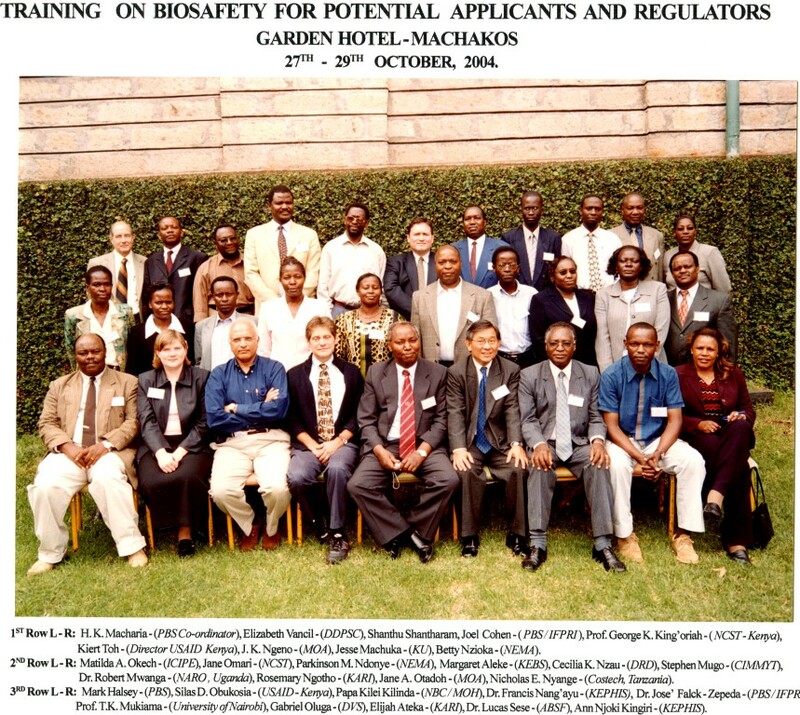 Sweet Potato Transformation for Virus Resistance: Designed and implemented grant with Monsanto and Kenyan (KARI) scientists to transform sweet potato using proprietary and public domain technologies for virus resistance. CGIAR – CONSULTATIVE GROUP FOR INTERNATIONAL AGRICULTURAL RESEARCH – VARIOUS POSITIONS; THE HAUGE, NETHERLANDS AND WASHINGTON DC, USA – Too fast, but not too far. Throughout my career in crop plant improvement, I always had the highest regard for Norman Borlaug, especially after being in the Peace Corps, and reading of him constantly. I never dreamed that I would meet him, get to know him and have many a conversation with him. This dream brought special meaning to the day I accepted a position in the CGIAR, its mission being "… to contribute to sustainable improvements in the productivity of agriculture, forestry and fisheries that enhance nutrition and well-being, especially of low-income people". 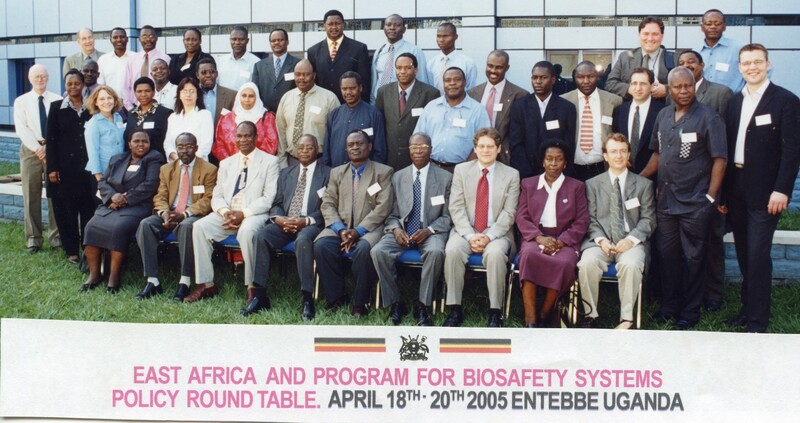 IN BRIEF… selected as Director, Program for Biosafety Systems, a $15 million cooperative agreement, managing 40 professional staff located globally while leading programs, research and publications in food security; implemented university and regional offices in East, Southern, and Western Africa for collaborative research studies; ensured effective program implementation, budgeting, reporting and impact statements, hiring of staff, and efficient component and work plan integration; served as Chairman, Genetic Resources Advisory Committee, for the CGIAR for five years, initiating many new programs and networks; developed reports and seminars used for planning in 16 countries, hosted in Kenya, Uganda, Tanzania, South Africa, Nigeria, Zambia and Zimbabwe; point of contact for all partners, universities, donors, board, and other organizations, managed fiscal reports, authorizations, and government guidelines; professionally trained in leading dialogues, workshops, communication and outreach, and executive media and public relations; demonstrated record of working for or with UN organizations, universities, US government organizations, and foundations. Worked on issues of sustainable livelihoods and broader implications for emergence of new technologies in developing countries. IN BRIEF… Curriculum, unit development, and course design for ScienceALIVE!, an after-school science program for first through third grade students featuring lessons in biology, chemistry and fossils; technology-rich curriculum includes unique topics, PowerPoint presentation package for each student, test questions, concept explanations, and hands-on experiences teaching ScienceALIVE! in multi-cultural after-school classes. EDUCATOR, - VARIOUS LOCATIONS AND POSITIONS – The greatest challenge! IN BRIEF… Curriculum development experience includes Next Generation Science Standards (NGSS)-consistent lesson and curriculum planning, including, From Molecules to Organisms; STEM-consistent curriculum planning: original life science investigations: Dihybrid F2 Wisconsin Fast Plant© seed lab combining guided inquiry with student observation of genetic phenotypes for hands-on experience with Mendelian inheritance and chi square test of fitness; A Cellular Encounter - investigation combining a dynamic cell with inquiry, evidence-based responses and addressing NGSS standards to support student understanding of cell function, structures and cellular communication; digital microscopy lesson design so that students prepare own digital files of wet mount and dry mount preparations; introduction of, and lessons plans for, incorporating DNA labs into Parkland curriculum for the first time, including DNA extraction and fingerprinting. Science Teacher, Montgomery County Public Schools - full time teacher for five on-level, inclusive and GT science classes/year, totaling 150 students. Science curricula development for advanced and inclusion classes, including advanced life science lessons and investigations, dissections, chemistry and ecology. Curriculum taught: (1) Planet Earth Science: Chesapeake Bay Watershed Ecosystem; pollution effects and the Annual State of the Bay Report Card; characteristics of living organisms; diversity and adaptations, earth structure/weather; (2) Science 7A: chemistry, cell biology, function and theory, paleontology, fossils, and origin of life; human body systems; heredity; evolution, natural selection, biodiversity, endangered species and conservation; DNA extraction and fingerprinting; search for life in space. Curriculum Development Experience. NGSS-consistent lesson and curriculum planning, including, biodiversity and endangered species, From Molecules to Organisms; STEM-consistent curriculum planning: original life science investigations: Dihybrid F2 Wisconsin Fast Plant© seed lab combining guided inquiry with student observation of genetic phenotypes for hands-on experience with Mendelian inheritance and chi square test of fitness; A Cellular Encounter - investigation combining a dynamic cell with inquiry, evidence-based responses and addressing NGSS standards to support student understanding of cell function, structures and cellular communication; digital microscopy lesson with students preparing their own digital files of wet mount and dry mount preparations; incorporating DNA labs into Parkland curriculum.. Developed own STEM evaluation tool for self-evaluation and reflection on curriculum using management by objectives. SuperSciU!© – Teacher-leader of after school club for advanced biological investigation in inaugural year 2013-14, now with over 25 members, received Montgomery Country Recreation Department funding; SuperSciU!© recognized as member of NABT’s national BioClubs, only middle school to be so recognized, community outreach featuring parents night and award ceremony with certificates from NABT recognizing achievements of club members. Specialize in environmental and health AP research projects. Sponsor and organizer for Parkland chapters of MESA (Mathematics, Engineering, Science Achievement), Science Olympiad competitions – co-organizer regional and state. 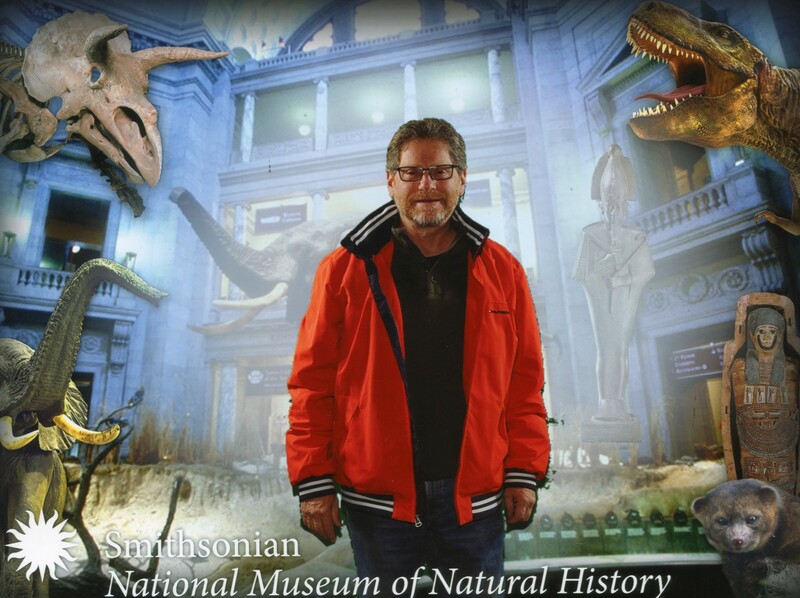 Smithsonian Biodiversity Internship - Museum of Natural History - Spring Break. Staff Sponsors: Vicki Funk and Mauricio Diazgranados. Advance geo-referencing of Cuatrecasas plant photographs and collections, making information available online for research and the general public. He is one of the greatest botanists of the Neotropics who collected thousands of plants (ca. 25,000) and anthropological specimens in Colombia, Venezuela and Ecuador between 1932 and 1979. He compiled an astounding photographic archive with more than 20,000 images. Course Instructor and curriculum development, Audubon Naturalist Society course, “Biodiversity” Commissioned to develop five credit evening course on global biodiversity; began spring 2015. Initial course topics: levels of biodiversity from the gene to ecosystem; biodiversity loss and gains; agrobiodiversity, relation to the past and present mass extinction events, Anthropocene Species Event Index (ASEI), Darwin’s finches, phylogeny. Course still in development. Grad School USA/Audubon Naturalist Society. Lead course instructor for “The Living Soil,” 2 credit course; ACE College Credit Recommendation Service Reviewed. Developed course, curriculum, labs, and hands on studies at three field sites. Knowledge of soils is basic to understanding plant communities and ecosystems. Examine the nature of soils and their influence on environment. Learn the structure, properties and the classification of soils and the significance of these factors to plant growth and other uses. Discover life in the soil, and study the soil groups and natural land resource areas of the Central Atlantic region. John Hopkins Center for Talented Youth. Lead instructor and curriculum development for “Through the Microscope.” Developed an organism-based curriculum for microscopic examination of the diversity of life, specializing in student slide preparation, Kingdom Protista organisms and fresh water pond environments, digital microscope photography, and cell biology. Outstanding evaluations. Howard Hughes Medical Institute/National Institutes of Health/MCPS 2008/09 Summer Teacher Internship Fellowship Award. Fellowship to provide two week training in molecular biology to high school seniors at Thomas Wootton High School and at Maryland Biotechnology Center and for a teacher research fellowship in NIH/FDA hematology laboratory on blood disorders. Conducted research on blood clotting effects caused by von Willebrand Factor genes, using molecular biology/genetic techniques, research over two summers. Presentation to HHMI Fellows and teachers on personal research experiences provided to teachers, fellow educators, and to students.